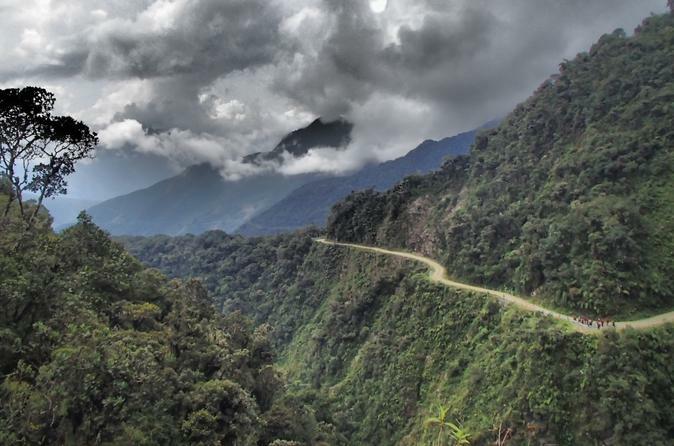 Fly down the 'world’s most dangerous road' on this thrilling mountain-biking adventure! 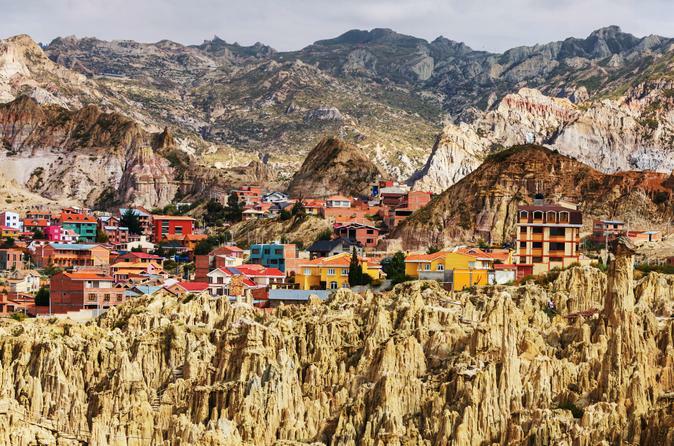 Leave from a high-altitude plain near La Paz, and follow expert guides downhill for 40 miles (64 km) on a narrow, winding road carved into the mountainside. Take breaks along the way to admire the landscape that changes from snowcapped Andes to Amazonian jungle. Then unwind at La Senda Verde Ecotourism Resort, an animal refuge, where you’ll enjoy lunch and observe rescued wildlife. Return to La Paz the same day, or stay overnight at La Senda Verde or in Coroico. See the best of La Paz on a private tour with a knowledgeable local guide, who will introduce you to both top attractions and lesser-known sites, creating a well-rounded experience of the city. Visit historical landmarks like Plaza Murillo and San Francisco Church, bustling markets like the Witches Market, and natural wonders like Moon Valley. You’ll learn about the city’s colonial history and get a feel for local life as you interact with vendors and artisans and perhaps visit a museum or two. This private tour is customizable. Spend an evening exploring La Paz’s foodie culture on foot, eating at authentic restaurants, drinking local beer and making yourself a cocktail. Your local expert guide leads you on a delicious trip through La Paz’s dining landscape, stopping at local eateries to eat Bolivian delicacies and specialties. At one stop, you’ll even concoct your own cocktail. The 3.5-hour tour concludes at a wine and cheese bar for a sampling of some of the wines of the region. 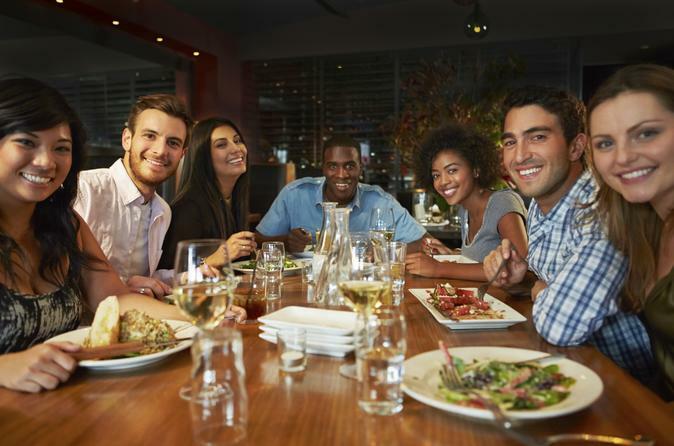 Numbers are limited to eight people, ensuring a personalized experience. Visit the World Heritage-listed archeological ruins of Tiwanaku, near the shores of Lake Titicaca, on this private half-day tour from La Paz. 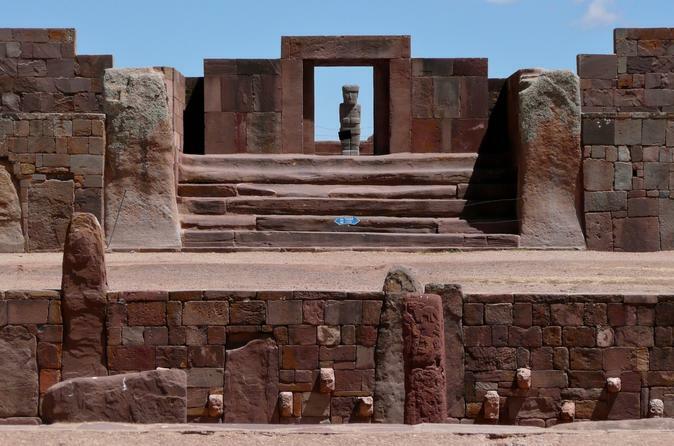 With a knowledgeable guide, tour the site’s adobe pyramids and temples, and learn about the fascinating history of the Tiwanaku civilization, which flourished for hundreds of years before disappearing inexplicably around the year 1000. Hotel pickup and drop-off and transport by private vehicle are included. You have your choice of a morning or afternoon tour. Shrouded in mystery until quite recently, the ancient city of Tiwanaku is still far from being completely excavated and surveyed. Evidence suggests the area around the site was inhabited as early as 1500 BCE. As the settlement grew to city size it began to influence surrounding areas. As a city-state, it blossomed between 300CE and 1000CE, after which it declined due to changing weather patterns which resulted in less rainfall. Although much of the site was disturbed by looting, which began soon after Tiwanaku’s decline, it is possible to observe the high level of sophistication and skilled stone working, that were characteristic of Tiwanaku during its height. 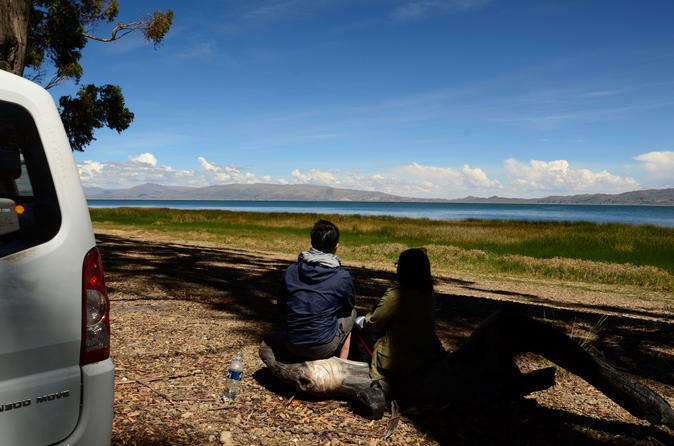 Join this 8-hour tour and discover Tiwanaku and Titicaca in one day. One of the prettiest drives in Bolivia leads to the seldom visited colonial town of Yanacachi, a village lost in time, where Inca ruins intermingle with early colonial buildings. 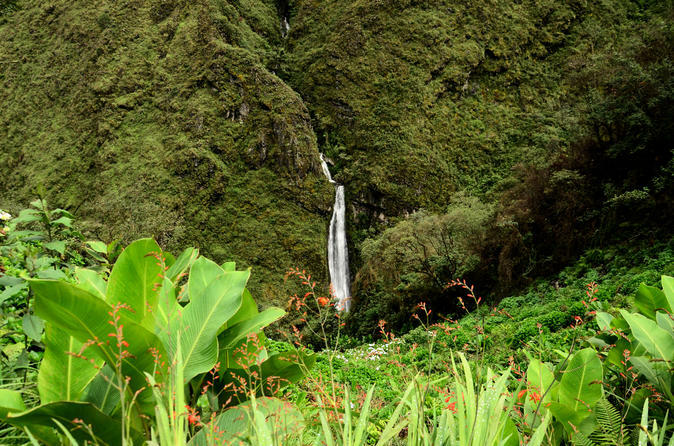 After an amazing drive through Andean cloud forest, with stops at waterfalls along the way, the group takes lunch at a well preserved and remote Inca village and then heads to the colonial village of Yanacachi, before returning to La Paz. 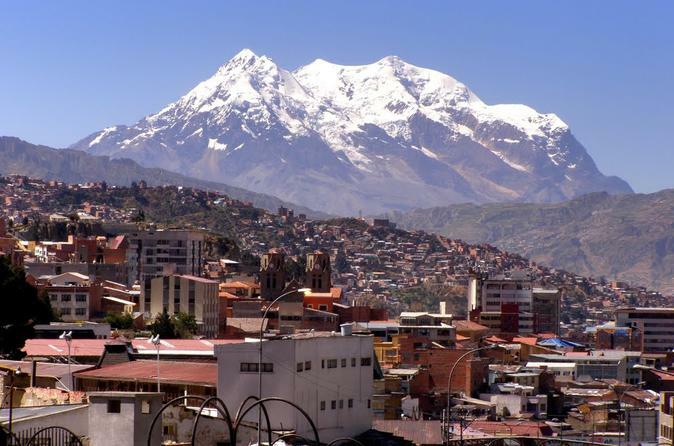 Join this 3-hour walking tour of La Paz. With your small groups tour, learn about the culture, history, fun facts, myths and legends of the city. 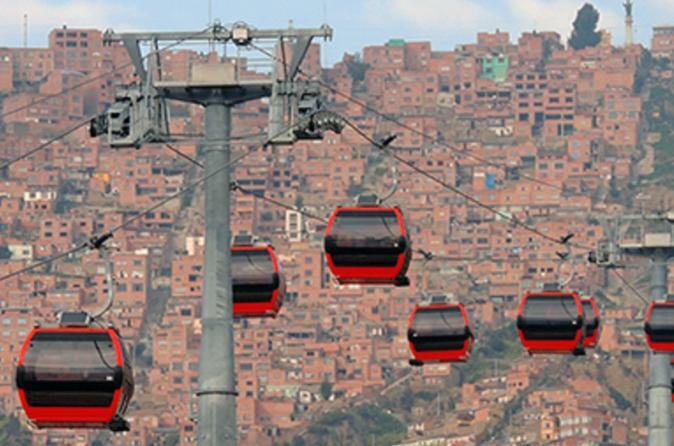 Enjoy the view from the Cable car or locally called Teleferico. Visit of El Alto city and south zone of La Paz City on this 3-hour tour departing at 11am or 3pm. 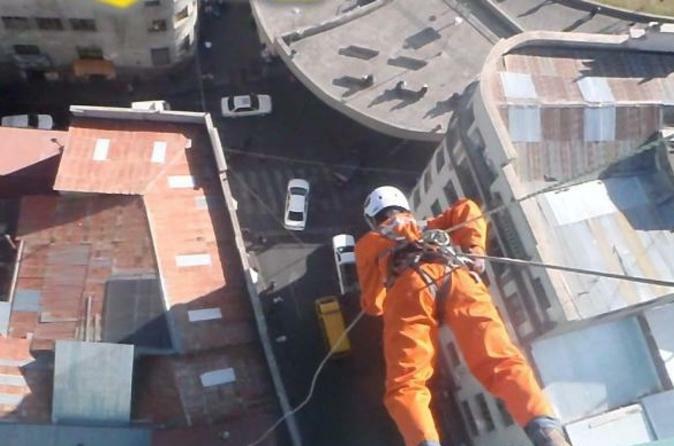 Play out your superhero dreams: Dress up as Spiderman and jump out of a 17th-floor window of a building in downtown La Paz! This rappelling adventure is the perfect fix for adrenaline junkies. Pick out a costume to wear, attend a safety briefing, and get fitted and strapped into top-of-the-line equipment by expert guides. Practice on a mini-wall before your 164-foot (50-meter) descent! Rigged into your harness, rappel down the side of the building. When you reach the sixth floor, let go of the rope (and your fears) as you free fall for several seconds before landing on the bottom platform unscathed.